Located in the heart of the village next to the brook, the 8-bedroom White Lion Inn was refurbished in 2014 and was awarded a Tripadvisor 2014 Certificate of Excellence and the Rutland CAMRA Pub of The Season for Summer 2014. Welcoming families and dogs, it boasts a bar, restaurant and function room. The inn has a garden, pétanque court and tables for outside dining as well as a large car park and secure storage facilities for bikes and fishing equipment. 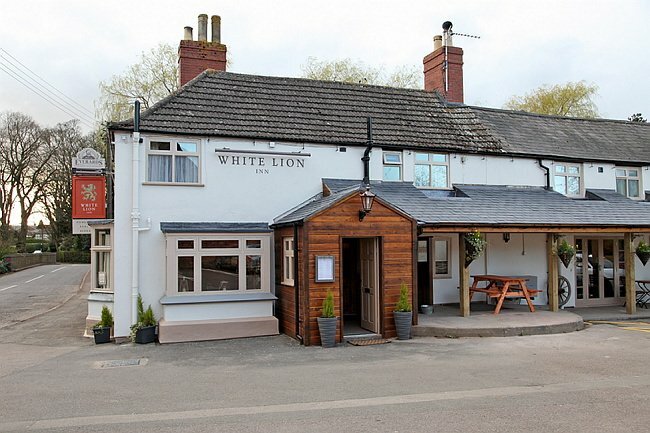 The White Lion Inn serves cask-conditioned ales and wines and spirits. The two core ales from Everards Brewery are Tiger and Original and these are complimented by weekly guest ales and ciders. The pub offers honest, seasonal homemade meals made from locally sourced produce where possible. Free range eggs are from Loodal Farm, the pub’s famous fish and chips is hand-battered (using Tiger ale), with fish supplied by Scarborough Fare of Melton Mowbray, and there is a fish ’n chip take away service. See the pub’s website for the latest menus. On Sundays from 12.00pm – 3.00pm, the pub offers a carvery with a choice of 3 meats and a selection of seasonal vegetables. A la carte resumes from 5pm to 8pm on Sundays. The Inn’s own pétanque team plays every Tuesday during the summer in a local league. Live entertainment and charity events are held throughout the year, see the Calendar for a listing of events at the pub.